Slice lemons and lay on the bottom of a 9x13 baking dish. 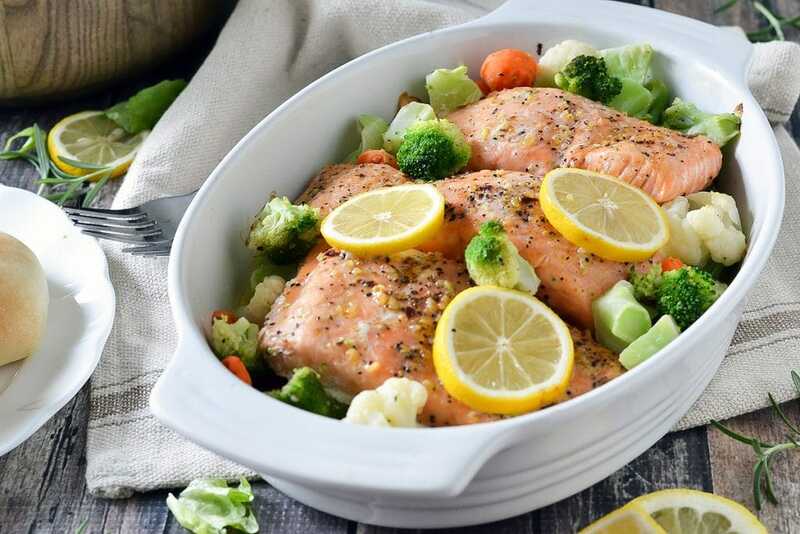 Bake covered in 375 degree oven for 20-30 minutes or until fish flakes easily with a fork. *Longer cook time will be needed if vegetables are frozen at time of cooking. Serve with dinner rolls and salad greens. *Best results when baked after vegetables have thawed. May substitute chicken cutlets in place of salmon.